Show of hands here for those who have played Star Realms. *watches a lot of hands go up* Just as I figured. Well, the folks behind that game have a new one that's up on Kickstarter. 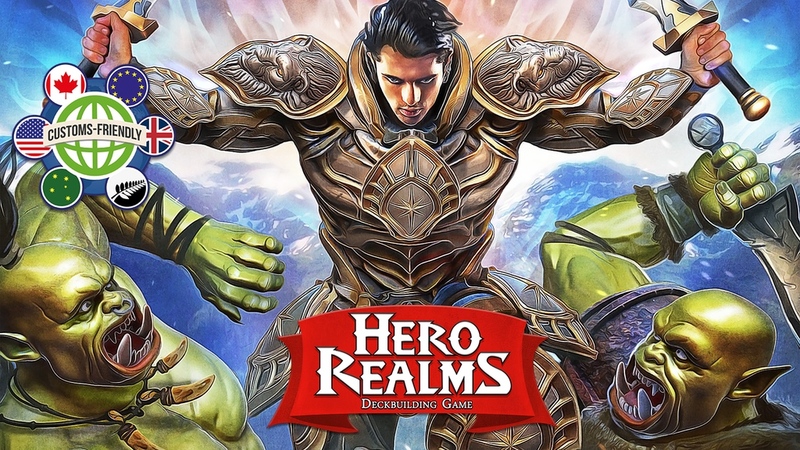 It's called Hero Realms and it takes you from interstellar space onto the fantasy battlefields full of orcs, werewolves, and zombies. The game can be played either cooperative or competitively. Bring your own custom starting decks for your own heroes to the table. Then, using that, buy cards from the Marketplace to add to your deck. But it's not just buying cards from the middle to build up your deck's stores of gold. You'll also buy up heroes and then send them against your opponent. If you reduce another player's life to 0, they're eliminated. Be the last one standing and win! Or you can play a campaign, being able to gain experience and special cards for your starting deck. The campaign is doing rather well, closing in on 2x funded and already unlocking some stretch goals. How many more will they get through in the remaining 27 days? That's up to you and every other gamer that looks at it.